I tried TPWCAS and it didn't really work that well with the mix. ASR AI is OK as a mod by itself (I don't really use any of the ASR addons). As for Arma 3, I don't really play it all that often. The AI are just disappointing (even with AI mods). I show these clips to my Arma 3 mates sometimes and they generally remark about how advanced they are in comparison to even Arma 3. 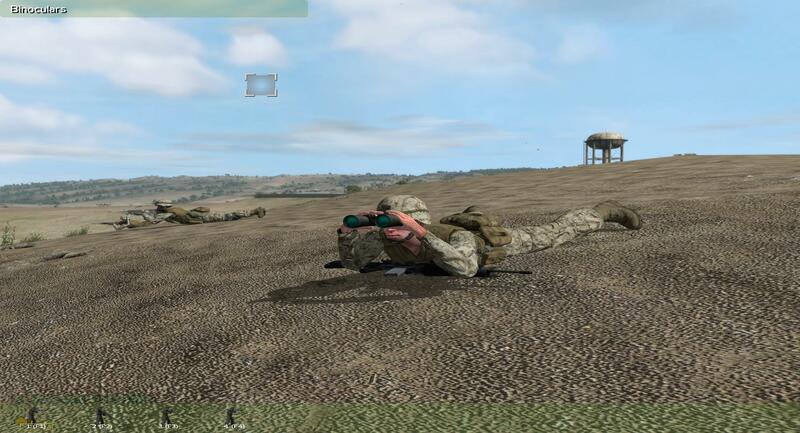 Also, if you still play Arma 2 CO, you should seriously check out XMOD. The developer of the mod (Joker), has been working on it since 2013. It's all run on his server (client side). The mod encompasses pretty much everything (UI, map, advanced AI, colors, clouds, etc): The overall look of it makes me think of classic Ghost Recon 1. Definitely worth a look. Hey guys. Seeing that many of the people here on this forum enjoy wargaming and such, I thought I'd inform you guys of a pretty neat mod mix I've been testing with over the past several months that creates very realistic AI. Introducing Smart AI Mix, it's a combination of GL4, Zeus, ZGB, SMK, and SLX (credit to Chris B for this mix). These AI take effective cover, maneuver properly (including bounding overwatch), flank, garrison buildings, utilize vehicles, deploy grenades, maintain 360 security, and much more. It's definitely worth a look if you're interested in wargaming: Fireteam CQB Cover to Cover: Fireteam 360 Security: AI Deploying Flares To Spot Enemies: Fireteam Assault On Rahmadi: If anyone is interested in trying this out, let me know and I can post a list of the required AI addons. I did a fresh install (uninstalled the original one) and I'm still getting the same issue (even used winrar instead of 7zip). Really odd in all honesty. Has anyone else experienced this issue? I finally got around to installing CM:SF2 and for some odd reason the campaign isn't showing anything (all blank). Same thing happens with Quick Battle mode. Would anyone know how to fix this? I somewhat disagree. While I do believe that PR should never respond to every little complaint (it would take a lifetime), I think a general update would do them well. And, while some would definitely be annoyed with the delay, I would think that most reasonable people would understand the process and accept it. BF's ultimate goal shouldn't be about ending these silly arguments. Rather, their focus should be on heightening the quality of their brand image and their communication with the consumer. Because I have absolutely zero in-game experience with Combat Mission and Shock Force 2 demo hasn't released yet, what would be the best Combat Mission demo to somewhat familiarize myself with the controls and such (and yes, I understand that they are not updated to Engine 4.0)? Nice poem 😂 I've got nothing better to do so here's another one 😂 : There is a game by Battlefront, that rules the gaming league Combat Mission owns this title, and none other can compete. But sadly the game never released, and stayed in development mode, And even after thirty years, people still wait for it to go. Hundred percent agree with ya! I'd take Arma 1 or Arma 2 any day of the week (with mods of course). Unfortunately, VBS doesn't offer Personal Editions anymore 🙁Titan IM may offer it in the future to gain more recognition and publicity. Thankfully, BFC hasn't gone with the masses but rather continues to offer high quality content.